Cuba’s preliminary roster for the upcoming World Baseball Classic – now swollen from an original 28 selections to a current list of 36 – checked into Havana’s Hotel Tulipan on Monday morning and immediately began extensive training in Latin American Stadium under the guidance and careful watchful eyes of national team manager Victor Mesa, technical director (general manager) Jorge Fuentes, and league commissioner Higinio Vélez. 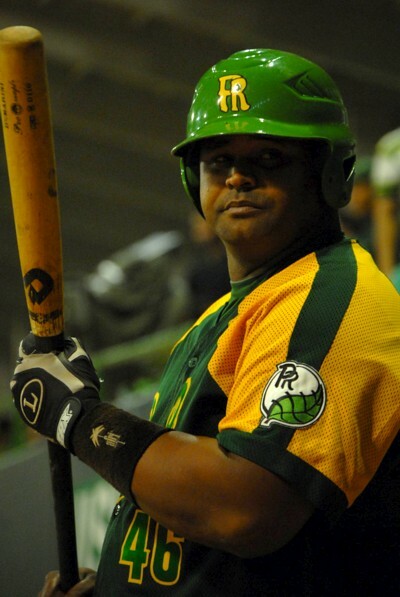 Much speculation has circulated over the past week about looming potential changes on the Cuban roster – especially at the catcher position (where long-time team leader Ariel Pestano continues to sit on the sidelines, and also where a late first-round surge at the plate has deramatically thrust Pinar’s Yovani Peraza back into the picture) and also among the mound corps and outfield contingent. Several widespread rumors had one-time national team bullpen staple Yadier Pedroso returning from shoulder injury rehabilitation and Matanzas outfielder Yadiel Hernández fading from the scene (perhaps in favor of popular Havana Industriales centerfield prospect Yasmani Tomás. Yosvani Peraza (slugging Pinar del Rio catcher) is now suddenly back in the WBC pitcure for Team Cuba. When the dust cleared on Sunday morning catcher Peraza, hurler Pedroso and slugging fly chaser Tomás had indeed been recalled to join the oversized squad, along with a half-dozen others that included infielders Yordan Mandulay and Raúl González, a quartet of pitchers (Yasmani Hernández, Carlos Viera, Diosdani Castillo and Leandro Martínez), and lefty-swinging Industriales outfielder Stayler Hernández. The only two deletions at present from the originally submitted tentative roster have been Artemisa southpaw Yulieski González and aging Camagüey righty Vicyohandri Odelín – both former national team stalwarts. González started the 2011 World Cup Gold Medal game versus Holland in Panama little more than a year ago, and Odelín earn a lasting slot in Cuban lore back in March 2006 by saving the memorable game in San Juan which thrust Cuba into the championship round of the inaugural Classic. Since Team Cuba is scheduled to play a half-dozen pre-Classic tune-up exhibitions in Taiwan beginning in less than two weeks (matches start on February 18 in Taichung versus Australia, Holland and the host Taiwanese), the squad will like depart as early as February 15 (ten days hence). And now also fast approaching is a mid-February deadline for submitting to MLB officials the final 26-man playing roster (supplemented by a pair of emergency replacements). The looming deadlines mean that eight current squad members now training in Havana will have to be left behind and the most likely final cuts will involve one catcher, three pitchers, a pair of infielders and also a pair of outfielders. It is anybody’s guess at this point how it might all play out, but if this writer were a betting man he would suggest that the players now likely standing on a soft bubble are catcher Morejón, outfielders Yadiel and Stayler Hernández, the two most recent infield additions (Mandulay and González), and hurlers Yasmani Hernández, Diosdani Castillo, and Carlos Viera. A caveat here is that Stayler Hernández (or perhaps even recently slumping Yadiel Hernández may hold a distinct advantage over Yasmani Tomás given that they are left-side swings (a commodity definitely in the scarce supply with the Cuban lineup). It is difficult to see what the heavy hitting Tomás actually adds to the Cuban squad given the presence of such already heavy bats as those of Abreu, Eriel Sánchez, Despaigne, Cepeda, Peraza and Gourriel. But then there is the issue of why as many as six infielders would be necessary, given the durability of José Dariel Abreu at that position and the ability of catcher Eriel Sánchez to man the corner position should injury ever handicap Piti Abreu. The Cuban baseball brain trust has now certainly achieved two vital results with this week’s roster expansion – one with an obvious intention and the other likely being largely an unplanned byproduct. The former (the well-thought-out plan) has obviously been to increase the intensity of competition for final roster slots, as well as to provide enough bodies in camp at Latin American Stadium to allow full-squad scrimmages over the next dozen or so days. The latter (largely consequential) fallout is the stroking of another couple of weeks of intense street corner debates about the final makeup of the national squad that will for the third time carry Cuban pride into the showcase event of international baseball.